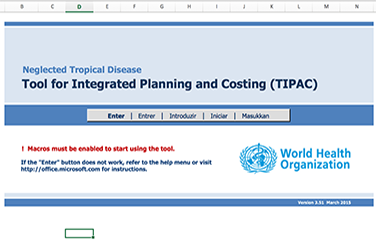 Neglected Tropical Diseases (NTD) are a diverse group of diseases that affect more than 1 billion people - one-sixth of the world’s population – including an estimated 800 million children. 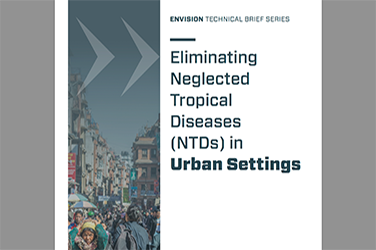 NTDs almost exclusively impact poor people living in rural areas and urban slums of low-income countries. Women and children are especially at risk. For instance, due to their primary role as caretakers of children, women are more commonly affected by trachoma, which causes pain and blindness during the most productive years of life. NTDs also keep children from living healthy, productive lives, causing malnutrition, reduced school enrollment and compromised intellectual development. These diseases can kill and frequently impair, blind, or disfigure and have devastating economic consequences for communities due to the loss of productivity and income. In 2006, USAID launched its NTD Program focusing on the scale-up of mass drug administration to target the control and/or elimination of lymphatic filariasis, blinding trachoma, onchocerciasis, schistosomiasis, and intestinal worms. 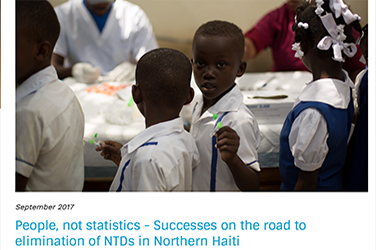 The success of the USAID NTD Program depends on key partnerships that include pharmaceutical companies and their donation programs, host-country governments, bilateral donors, NGOs, advocacy groups, philanthropic organizations, and implementing partners. Central to this process are significant drug donations from several pharmaceutical partners. Five of the drugs needed to treat NTDs, albendazole, mebendazole, Mectizan®, praziquantel and Zithromax®, are donated by GlaxoSmithKline, Johnson & Johnson, Merck and Co., Inc., Merck KGaA, Darmstadt, Germany and Pfizer, respectively. USAID’s NTD program is the largest public-private partnership collaboration in the Agency’s 50-year history. To date it has enabled $11.1 billion in donated medicines, representing one of the most cost-effective and innovative partnerships in global health. Progress is real and measurable. As a result of the support provided by USAID, 140 million people are no longer at risk for lymphatic filariasis, 65 Million people are no longer at risk for trachoma, and 2.4 Million people are no longer at risk for onchocerciasis. Video Production: Ensemble Media, Inc.